LVL3 and are happy to present LtdWear3. LtdWear3 is both a group exhibition and a fashion collection presenting one-of-a-kind wearables by over 25 artists. 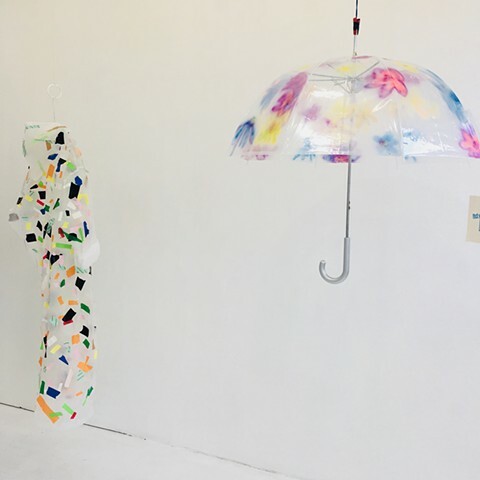 LtdWear3 gears up for summer rainstorms with custom umbrellas and raincoats that will be available for purchase on a first-come/first-serve basis throughout the exhibition period. Check out the looks and prepare for your rainy day adventures with LtdWear3. Some paintings beg for a close read– densely layered or rendered in fine detail by a 000 brush. A fetishistic meticulousness. An intimacy of material. We have seen a turn toward figuration across media, whether employed as a formal structure or to address the politics of bodies. An intimacy of subject. 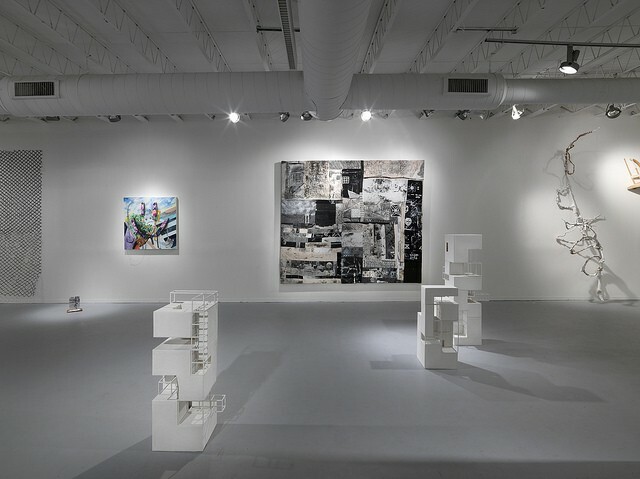 There is a precedent of both such intimacies (while adding dashes of irreverent abstraction and wit) in the works of Chicago painters such as Barbara Rossi, Miyoko Ito, Jim Lutes, and Christina Ramberg. Mel Cook’s slippery, awkward male figures are trapped in the universe of their own tighty whiteys. Em Kettner’s fragmented totems jive across the wall. The mundane, yet tempestuous characters in Celeste Rapone’s narratives contort to the confines of the picture plane. 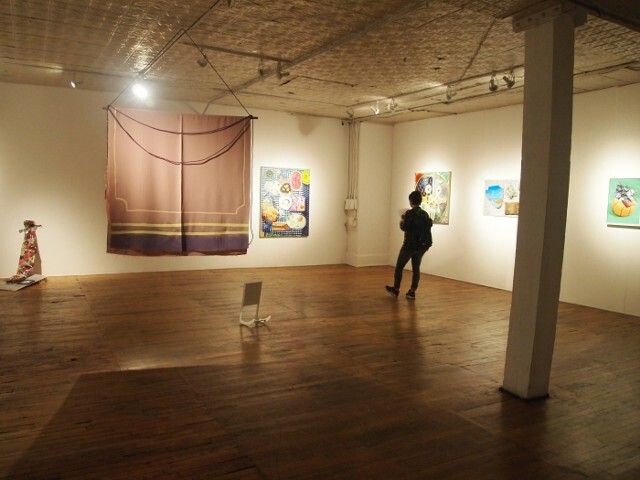 Allison Reimus’ canvases give us macro views of patterns that conflate the domestic and cryptic, table cloths or shrouds? And the windows into Ryan Richey’s everyday scenes reveal cheeky psychology with each closer read. 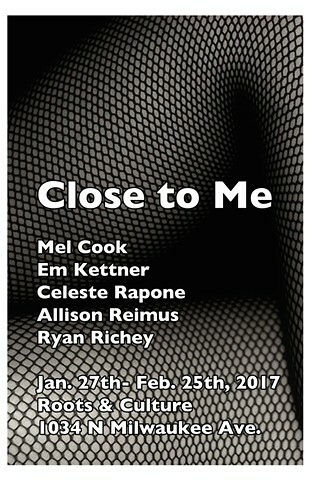 Mel Cook and Megan Stroech address the conceptual space of the conventional through a combination of images, objects and replications. Taking a skewed glance at domesticity and the production of place, their collaboration makes various gestures towards a generalization of home that is at once political, satirical, man-made and personal. 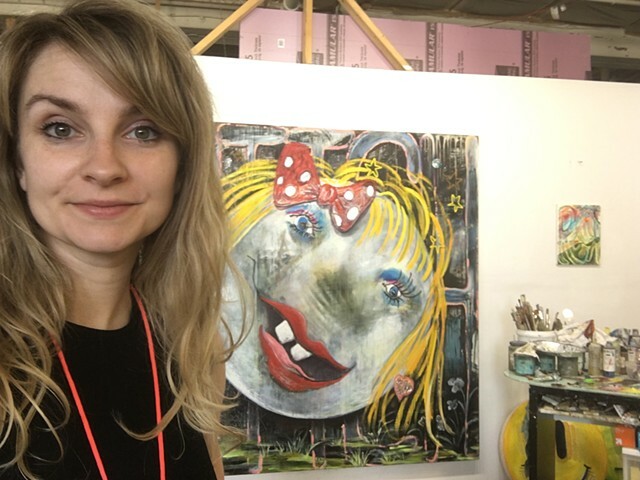 Both artists make work that is most comfortable communicating indirectly. Megan Stroech’s irreverent approach to material and the appropriation of luxury puts her work both at odds with authenticity and squarely embedded in it. By straddling humor and earnestness, the real and the fake, and the original and the reproduced, she initiates a conversation between high and low culture that invites the viewer to have the last say. Like Stroech’s sculptural compositions and installations, Mel Cook’s paintings disrupt traditional models of space. Cook’s work is often evasive, gesturing loosely towards the political of the everyday and the construct of place-making, while embracing the way images often fail in their attempts to articulate. Permanence collapses into suggestion, and desire for the represented object quickly switches to ambivalence. If both artists’ work moves towards a translation of home, it is one mediated. 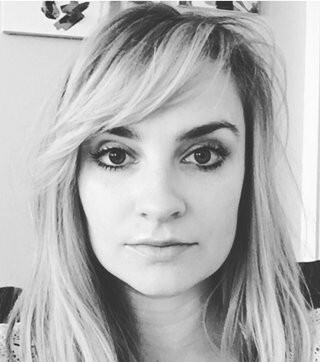 Check out this interview I did with Nicole Lane at Vagabond City Lit! 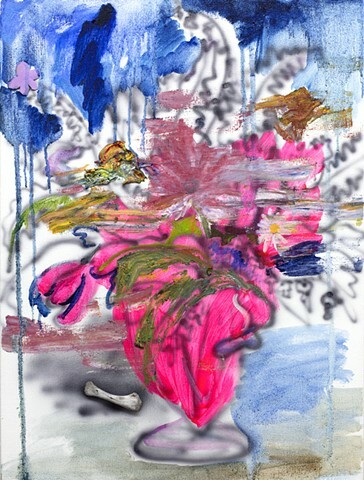 Hyde Park Art Center is proud to present the fifth annual exhibition of work from participants in The Center Program, the Art Center’s flagship artist professional development initiative. Led by Director of Education Mike Nourse, this six-month program is designed for a group of artists who create new works, connect with peers, present to visiting professionals, and culminate with an exhibition. This year’s exhibit, guest curated by Dan Devening, Director of devening projects + editions, features work by 23 artists in a variety of media. Aptly titled “New Business,” this exhibition showcases new, never before seen work that reflects the program’s mission of inspiring innovative ways of thinking, creating, and responding to critique. 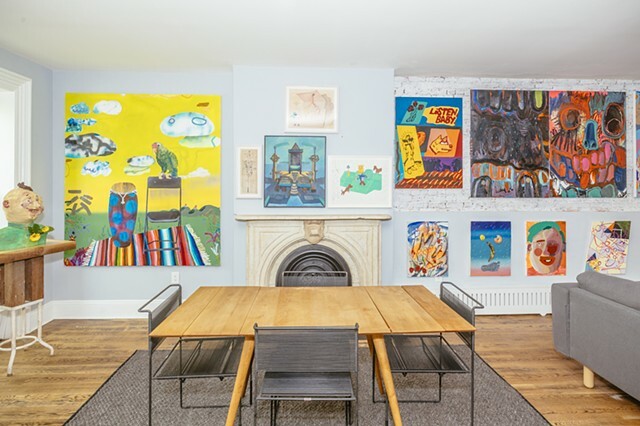 During their time in The Center Program, participants are encouraged to extend their reach, forge new connections and look at the Hyde Park Art Center and its robust community as a platform for support and inspiration. Ultimately, The Center Program gives its members the opportunity to delve into unexplored subject matter in order to push their boundaries as artists and achieve personal and professional growth. 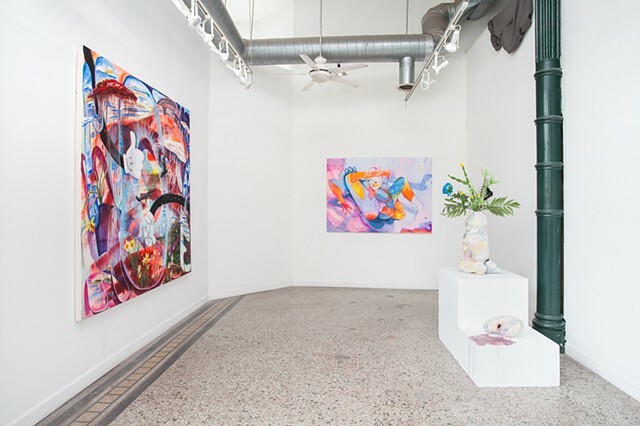 Click the link to listen to Studio Break's David Linneweh interview Mel Cook and Erin Hayden about their solo shows at Jan Brandt Gallery. Mel Cook was a visiting artist at Manneken Press February and March of 2013. 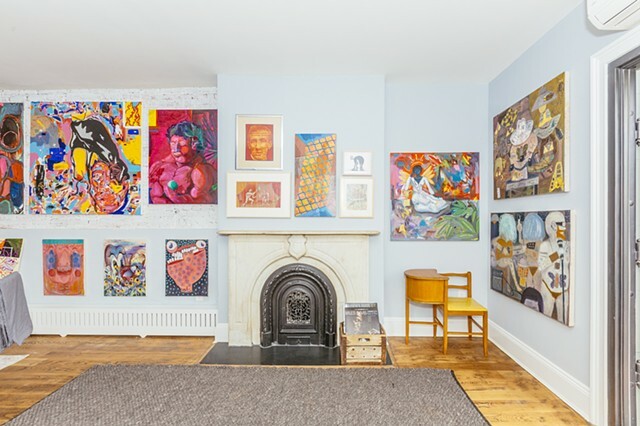 A set of 7 monotypes was created during this residence. Please see the website or contact Jonathan Higgins for more information on these works.